While many periods of history are popularly known by their 'great men', the Enlightenment stands out for the prominence of its 'great groups’. This volume assembles leading scholars using data-driven scholarship to study the networks that made the Enlightenment possible, and contributed to creating a new sense of European identity. 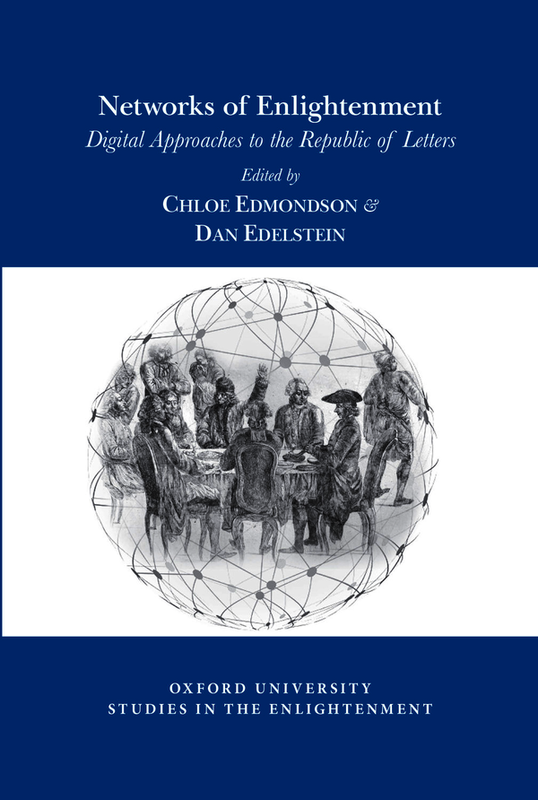 From Voltaire’s correspondence with Catherine the Great, to Adam Smith’s travels on the European continent, mediated and unmediated communication networks were the lifeline of the Enlightenment. What is particularly notable about the Enlightenment is how these different networks were central to their participants’ identity. One could not take part in the Enlightenment on one’s own. Although some older historical studies highlight the importance of social networks in the Enlightenment, data-driven approaches allow for a more comprehensive and granular understanding of the many different types of networks that formed the intellectual and cultural infrastructure of the Enlightenment throughout Europe. The recent influx of metadata from the correspondences of major Enlightenment figures now allows scholars to study these networks at both the micro and macro levels, and to explore the worlds of the philosophes and the “nodes” in their networks in rich detail. It is at this intersection of Enlightenment historiography, data capture, and social network analysis that the essays collected in this volume all fall, taking advantage of new data sources, configurations, and modes of analysis to deepen our understanding of how Enlightenment sociability worked, who it included, and what it meant for participants. Dan Edelstein is the William H. Bonsall Professor of French and, by courtesy, History at Stanford University. He is the author, most recently, of 'On the Spirit of Rights' (Chicago, 2018). He is also active in the field of digital humanities, notably through the "Mapping the Republic of Letters" project. Chloe Edmondson is a PhD candidate in the Department of French & Italian at Stanford University. She specializes in French literary and cultural history of the long eighteenth century, with a particular focus on letter-writing practices. Her work in the field of digital humanities has appeared in the Journal of Modern History and Digital Humanities Quarterly.